Open Tuesday-Sunday 1 p.m.-4 p.m. 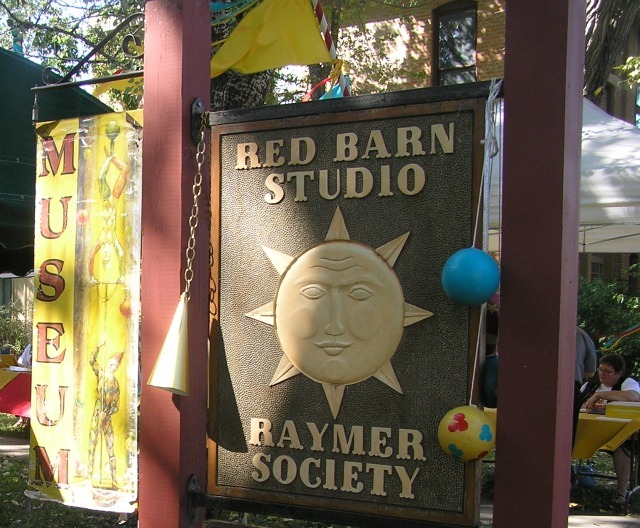 The Red Barn Studio was the working studio of the late Lester Raymer professional artist and craftsman. A master in several mediums, Raymer transformed ordinary discarded mundane objects into masterpieces. Intricate carved peach pits is one example of just how "green" Raymer was. The studio itself is a "Raymer." As space was needed he added on, using recycled materials creating a unique magical setting. Each visit is a feast for the eyes. The Red Barn Studio was a finalist in the 8 Wonders of Kansas! Art contest.